This post starts a list of items that either we used or things that I know people typically get with a new baby – I’ve indicated whether I think it’s mandatory and the timing of when you need it. I’ll put an approximate price for new items which is generally on the lower end – you can spend much more if you want. I’ve split it up into a number of posts which is in keeping with my tradition of not having excessively long posts. We bought a car seat / stroller combination for about $300 from Zellers which worked very well for us. Basically the car seat clicks into the base which is installed in your car and it also clicks into the stroller. The benefit of this system is that you can strap junior into the car seat inside your house, bundle him up if necessary and then carry him out to the car or the stroller. If you are going somewhere, you can take the seat out of the car and the baby can just stay in the seat while you are shopping or visiting. One of the downsides of the newborn car seat is that it will get outgrown in the first year. This type of stroller is quite large so we just keep it at home since it takes up a large portion of the trunk. It’s great for grocery shopping and walks around the neighbourhood. We also bought an umbrella stroller for $14 from the Bay which we keep in the car. 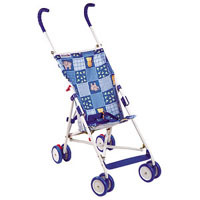 Check the age on any stroller you buy – umbrella strollers can’t be used with newborns for example. They have to be about 3-4 months old and be able to keep their heads up. There are many options for strollers/car seats. A lot of people buy them separate which is fine – I’m not sure if one option is better than the other although buying them separately will give you more choice of strollers. 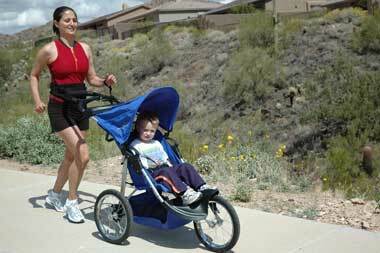 You can buy a jogging stroller if you are always on the move. One thing about newborn strollers is that you can spend anywhere from $100 to around $600 or $700 for a deluxe one and then spend a lot more on the extras (rain cover etc). Personally I don’t see the value in spending more than you have to on a stroller since they all do the same basic job. Car seats can be purchased used but they can’t have been involved in a car accident or be more than six years old, so this might be an area where you might want to just buy it new unless you can be certain of the age and condition of the seat you are buying. You can also buy a car seat which will be used from zero years to several years old (second car seat) but the downside is that you have to strap the kid into the seat in the car which is harder to do with a newborn. For a winter baby especially, it’s easier to bundle him/her up inside the house and then carry the car seat out to the car. Financially it’s cheaper to just buy the second car seat right from the beginning. When: You need the car seat to bring the kid home from the hospital so this should be a top priority. I recommend getting the police to inspect the installation and that will take some time. They have events organized where you can bring the car with the seat installed and they will basically reinstall it for you. If you can’t get it inspected before the child is born then do it after – better late then never. Always install the seat where there is no air bag in front of it. The stroller should be purchased before birth as well because you’ll probably need it fairly soon once the child arrives. Cost: Total cost for stroller, car seat, and umbrella stroller – $325. Depending on how fast your kid grows, she will outgrow the first car seat sometime in the first year. The second car seat will last a lot longer since it can be rear-facing, forward facing and also act as a booster seat. This installation can also be inspected. I would suggest trying to get the type of seat where you can adjust the top strap height without taking out the car seat since that is a lot of work. When: Sometime in the first year. Cost: We paid $230 at Sears. For more information on car seats, check out the Ontario Government website on the subject. 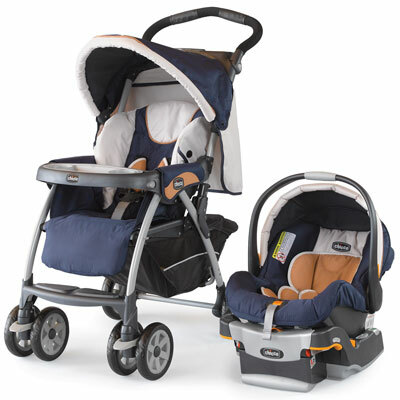 There are too many options when it comes to car seats and strollers and it’s easy to get overwhelmed with the choices. Bottom line is they all do the same thing so don’t worry too much about making the perfect choice. In the next post I’ll talk about cribs and bassinets and co-sleepers. Great post. I have to admit that this was one of the more frightening things in the baby store. They had about 4358 strollers of all different shapes with a startling array of colours, functions, permutations and whojamaflicks, most of which I failed to identify. I’ve never been so baffled in my life. I saw a beautiful specimen on the end of a row (picture the single spotlight shining down from on high and illuminating the Sacred Idol of the Great Stroller God for the unwashed masses). Then I looked at the price tag. I may have uttered a few profound phrases which when translated meant something along the lines of “I think I’ll just buy a new car instead”. So, in short I’ll be doing a lot more research before purchasing a seat/stroller. I see you went with Eddie Bauer for your second carseat. Just for the sake of my curiosity, and to provide some guidance for the next time I brave a store, what brand was your first one? I can’t quite read the label in your picture. Those pictures are not the ones we own. I think our initial stroller/seat combo was Greco? I think the second car seat was Eddy Bauer. 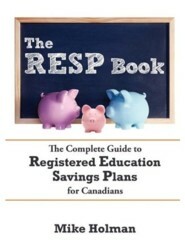 I found your info here on expected expenses and RESPs very well done. I would like to thank you for taking the time to pool all this info into one place. Thanks a lot Will – appreciate it! One thing new TALL parents need to consider is whether it will be comfortable for the parent to push the stroller. Don’t buy from a picture. Push the stroller around and imagine doing this for 3 km. You can google tall parents for suggestions. Also if you’re tall parents your baby will likely be longer than the average so consider this in stroller and car seat purchases.